On October 6, 1973, hoping to win back territory lost to Israel during the third Arab-Israeli war, in 1967, Egyptian and Syrian forces launched a coordinated attack against Israel on Yom Kippur, the holiest day in the Jewish calendar. Taking the Israeli Defense Forces by surprise, Egyptian troops swept deep into the Sinai Peninsula, while Syria struggled to throw occupying Israeli troops out of the Golan Heights. Israel counterattacked and recaptured the Golan Heights. A cease-fire went into effect on October 25, 1973. Israel’s stunning victory in the Six-Day War of 1967 left the Jewish nation in control of territory four times its previous size. Egypt lost the 23,500-square-mile Sinai Peninsula and the Gaza Strip, Jordan lost the West Bank and East Jerusalem, and Syria lost the strategic Golan Heights. When Anwar el-Sadat (1918-81) became president of Egypt in 1970, he found himself leader of an economically troubled nation that could ill afford to continue its endless crusade against Israel. He wanted to make peace and thereby achieve stability and recovery of the Sinai, but after Israel’s 1967 victory it was unlikely that Israel’s peace terms would be favorable to Egypt. So Sadat conceived of a daring plan to attack Israel again, which, even if unsuccessful, might convince the Israelis that peace with Egypt was necessary. When the fourth Arab-Israeli war began on October 6, 1973, many of Israel’s soldiers were away from their posts observing Yom Kippur (or Day of Atonement), and the Arab armies made impressive advances with their up-to-date Soviet weaponry. Iraqi forces soon joined the war, and Syria received support from Jordan. After several days, Israel was fully mobilized, and the Israel Defense Forces began beating back the Arab gains at a heavy cost to soldiers and equipment. A U.S. airlift of arms aided Israel’s cause, but President Richard Nixon (1913-94) delayed the emergency military aid for a week as a tacit signal of U.S. sympathy for Egypt. 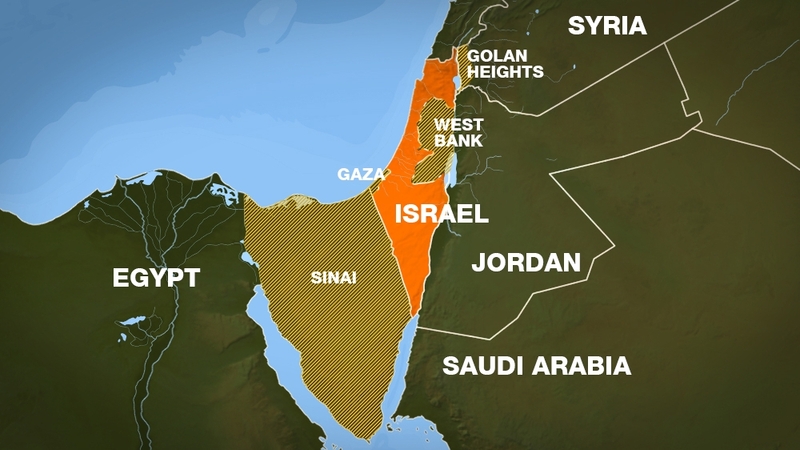 On October 25, an Egyptian-Israeli cease-fire was secured by the United Nations. Although Egypt had again suffered military defeat at the hands of its Jewish neighbor, the initial Egyptian successes greatly enhanced Sadat’s prestige in the Middle East and gave him an opportunity to seek peace. In 1974, the first of two Egyptian-Israeli disengagement agreements providing for the return of portions of the Sinai to Egypt were signed, and in 1979 Sadat and Israeli Prime Minister Menachem Begin (1913-92) signed the first peace agreement between Israel and one of its Arab neighbors. In 1982, Israel fulfilled the 1979 peace treaty by returning the last segment of the Sinai Peninsula to Egypt. 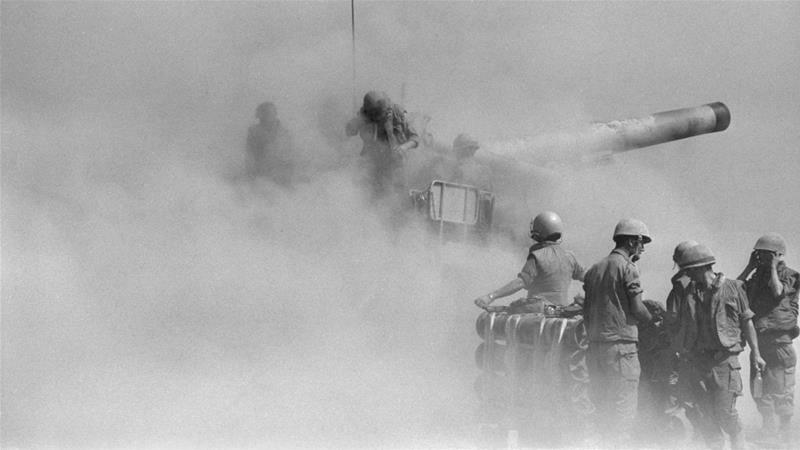 It has been 45 years since the start of the 1973 War between Israel, Egypt and Syria. The war, known to Israelis as the Yom Kippur War, and to Arabs as the October War, ushered in a new reality in the Arab world and changed the face of US foreign policy towards the Middle East. Why did the three countries go to war? The conditions that shaped the 1973 War were established six years prior. Fast-forward six years, Egypt and Syria decided to launch a two-front coordinated attack to regain the territory they lost in 1967. In the background, the politics of the Cold War between the Soviets - who supplied the Arab countries with weapons - and the US - which backed Israel - played out and inflamed the war, bringing the two blocs to the brink of military conflict for the first time since the 1962 Cuban Missile Crisis.